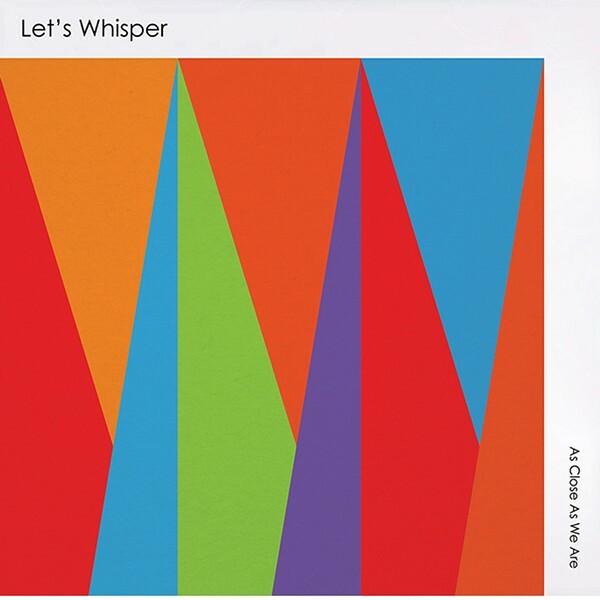 Let's Whisper's second full-length album is also the last release from WeePOP! Records in London, where the band previously recorded two EPs and its first full-length album. Let's Whisper, formed by Burlingtonians Colin Clary and Dana Kaplan in 2003, added Brad Searles on drums in 2011 and has been a trio ever since. They've recorded and toured in Europe and performed at Waking Windows in Winooski last May. As Close as We Are opens with "Paperclip Chains," a mid-tempo track that vaguely recalls Guster's "Satellite." Ideal for driving down an open road, the tune sets the album's theme of cheerful acoustics and endearing vocals from Clary and Kaplan that rise and fall easily over the instrumentals. The album abruptly shifts into a reflective, softer gear with the second number, "Let's Pretend." Kaplan's verses have a slightly nostalgic tone, offering to redo — or perhaps erase — the past: "Let's pretend, let's make believe / we're just acting out a scene / we're just having a bad dream." The middle tracks — "Fireworks," "It'll Be OK," "A Bit of Honesty" and "Every Eight Years"— continue the lyrical melancholy yet instrumentally upbeat theme. "It'll Be OK" is a fitting song for running in slow motion through rain — or some other equally cinematic action. Clary and Kaplan take turns asking, "Are you feeling brave? / 'cause I think you're brave." After some back and forth, Kaplan concludes, with Clary crooning in the background, "Autumn's turning into winter / and it'll be OK / it'll be OK / it'll be OK." Against the steady clip of Searles' drumming, the repetition of this throwaway phrase comes off as inspiring rather than trite, infusing a bit of hope back into the record. Following these slower tunes is the energizing seventh track, "Bastille Day." At a zippy 1:45, this is anthemic dance pop at its best, and it powers the album toward the finish line. Clary's whiny and irreverent lyric, "I don't know where you are / Happy Birthday baby, I miss you / Viva la France/ I wanna dance," may inspire listeners to follow his pithy lead and hit the floor. The album gets quiet again with closer "Leave You Hangin'," which showcases Clary's winsome vocals. This track calls to mind Americana-inspired acts such as the Lumineers, with plenty of toe-tapping and sing-along potential. At just eight tracks, As Close as We Are is short and sweet, by turns deadpan in its delivery and sentimental in its subject matter: companionship, love, confusion, frustration, acceptance and, often, everyday minutiae. From a band whose website says, "All our songs are love songs," As Close as We Are is a thoroughly listenable and relatable indie-pop record.